See the following links to get your Raspberry Pi and Pixel setup and connected to power, but don't give them power just yet. The last assembly step is to connect the Raspberry Pi to the Pixel, via a male-A to male-A USB cable. 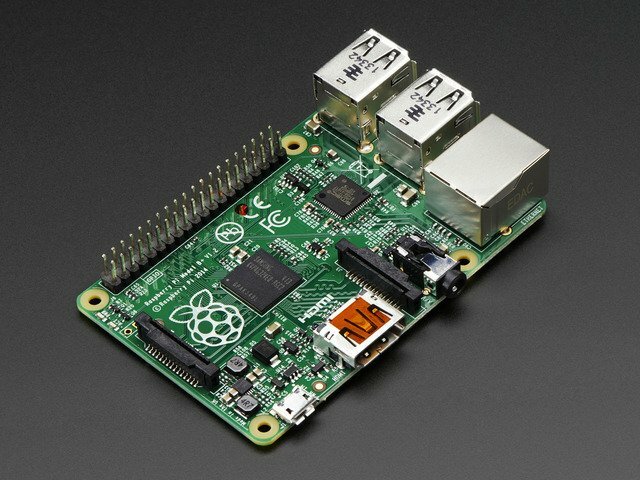 Now power up the Raspberry Pi and Pixel. Run the Web application with the following command. In the above command, 'pixel.jar' should be replaced with the actual name of the JAR file copied to the Raspberry Pi. There are some command line switches to configure the application. See below for details. Once the Java application is running from the command line, a bunch of lines scroll on the terminal showing connection messages. If it is the first run, then image resource extraction messages are also shown. Next, visit the following URL. The 'raspberrypi' in the above URL should be replaced with the host name (or IP address) of computer running the Pixel Web applicaton. At the above URL, a user interface is presented with a drop down menu to change between Pixel modes. The scrolling text mode lets you enter some text, change scroll speed, and specify text color. Still image mode presents the various images available for drawing on the Pixel. Animations mode similarly presents the various animations available. On the user interface for still and animated images, a 'Display' button is used to select what is shown on the Pixel's RGB LED matrix. The user can upload their own still images and animated GIFs. The file chooser button is used to select a still or animated GIF, on the filesystem. Then click the upload button and it should appear in the corrosponding animated or still image list. In offline mode, an animation can be played from the SD card onboard the PIXEL. This means you can still have an animation play even if the Web enabled application is not running. Use the 'Save' button to write an animation to the SD card for offline use. Clock mode presents an analog clock. A custom user interface to control Pixel can be made by posting to the following URLs, or Web API. Any programming language that can make HTTP requests can control the Pixel with this Web API. This sets the color of the scrolling text. The ‘hex-value’ given is used as the color. This sets the scroll delay in milliseconds. Change to still images mode. This URL returns a list of the available still images names. The image names are delimited by "-+-". This writes the image denoted by the ID at the end of the URL. The ID is an integer that is used as an index into the still images available to the Web app. Uploads a HTTP post with a mulit-part file attachment. The name of the file parameter should be 'upload'. The request parameter named 'upload-type' is expected to have the value of 'STILL_IMAGE' or 'ANIMATED_GIF'. Change to analog clock mode. The source code for the Pixel application is on Github. The recomened way to make changes to the application is with the Netbeans IDE. In Netbeans, open the directory where you cloned Pixel from Github. It will recognize and open a parent project labeled 'onebeartoe-pixel'. The 'onebeartoe-pixel' project has other projects listed under 'Modules'. Open the one labeled 'pixel-web-enabled'. And make any change that better fit your setup. The F6 key compiles and runs the app locally. This guide was first published on Jan 03, 2015. It was last updated on Jan 03, 2015.